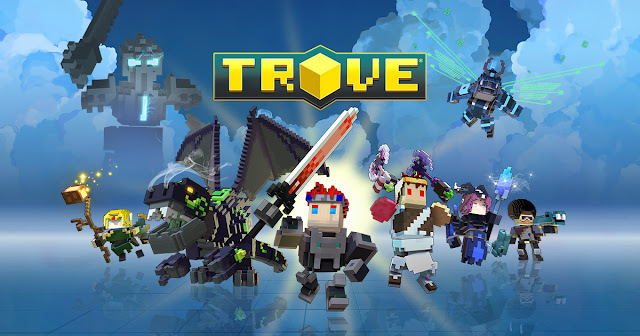 Trion Worlds has partnered with publisher DMM Games to bring Trove, the hit massively multiplayer open world voxel game, to Japan! Trove will launch later this spring on PlayStation 4 at digital and retail. Additionally, the Japanese version of Trove will also enter closed beta testing soon. Trove will feature the same brand of MMO gameplay and quirky voxel aesthetic that has made Trove a worldwide smash hit. Players who preorder Trove will get the Shiny Treasure Pack, featuring unlocks and in-game items. Trove’s launch in Japan follows the games expansion into the Chinese market last year. Published in the country by 360 Games, the open beta of Trove’s Chinese version introduced the game to a new audience in Asian markets, with an official release in the works for the country. The Chinese release of Trove saw the addition of a new Far East-inspired biome that was also made available for players in all other regions. Trove hits Japan on PS4 in spring 2018 on PlayStation 4. For more information on Trove, please visit http://www.trionworlds.com/trove/en/ .